CD Projekt Red, the developers behind the excellent Witcher series, are soon to release their latest project, Cyberpunk 2077. It’s been over six years since Cyberpunk 2077 was first announced in May 2012, over five since the first teaser trailer was released in January of the following year – garnering twelve million views within one week of release. The last six years have seen things advance and it’s looking hopeful. The footage released in 2013 still looks incredible, but 2018’s trailer and subsequent gameplay are a vast improvement. Currently, Google has approximately 21 million results for a search of the title alone and the gameplay reveal has over 10 million views on the Cyberpunk 2077 official YouTube channel. The teaser from this year’s E3 has over 15 million on the same channel. To say people are looking forward to this game is a bit of an understatement. If recent rumours of a 2019 release (according to a subsequently deleted tweet from Turkish publishers Bilkom) are to be believed, we won’t have to wait much longer. Although it’s worth noting that rumours like this should be taken with a pinch of salt, if not the whole shaker. 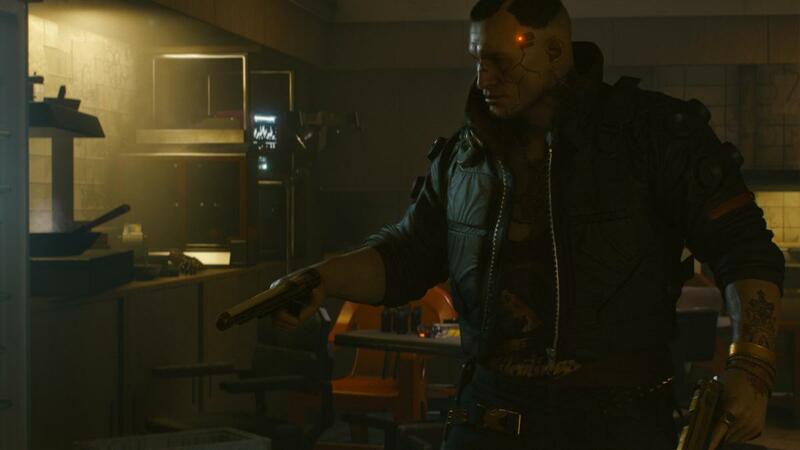 We’re excited for Cyberpunk 2077 for a number of reasons, not least because we love science fiction as a genre and CD Projekt Red as a developer. If everything goes to plan, we’re going to be treated to a game that becomes a series that has the potential to change gaming forever. Only time will tell if we’re getting something that special but all the signs, so far, are pointing that way. It’s a massive departure from the Witcher series in both setting and gameplay but as a highly anticipated game, with a slightly unusual premise, it’s worth looking into some facts about the game and cyberpunk in general. Some of these facts may be new to you, some you may already know, but this will be the first time most of these are put together in one handy place. Science fiction is one of the broadest genres of fiction around. Allowing writers the leeway to create futuristic landscapes, subtle changes to contemporary life or introduce discoveries that have changed history. It’s responsible for some of the best game series’ we’ve seen, like Mass Effect, Fallout, X-COM and many more. Cyberpunk is a subgenre of science fiction that includes advanced technology in a dystopian setting. On one side you have mega-corporations and militarized private security companies, while on the other you have the dark underworld littered with illegal trade, gangs and poverty. The gaps in this sandwich are filled with thick slices of corruption. It’s a genre that provides the backdrop for many great pieces of science fiction in books, games and film. One of the most famous examples would be Blade Runner, another would be Deus Ex. The origins of the subgenre can be traced back to several authors. The first use of the word itself was the title of a short story by Bruce Bethke, while William Gibson is widely considered the founder of the genre with his novel Neuromancer as one of the most well-known examples. A combination of human and robotic elements together, like the augmentations from Deus Ex, is a cornerstone of the modern cyberpunk style. Much like many other video game RPGs out there, Cyberpunk 2077 drew its inspiration from a tabletop RPG. In fact, in the case of Cyberpunk 2077, it’s a direct adaptation of one: Cyberpunk 2020. Created by Mike Pondsmith, Cyberpunk 2020 was first released in 1988 under the title Cyberpunk. It wasn’t until the 1990 edition that the game took on its more well-known name of Cyberpunk 2020. There are several sequels and expansions that have been released under the Cyberpunk umbrella as well as novels and two collectable card games. This provides CD Projekt Red with huge swathes of lore to build a gaming universe to compete with the likes of The Elder Scrolls, Fallout or Deus Ex. Recently, the PlayStation Access YouTube channel released a series of videos showcasing Cyberpunk 2020 and, if you have a spare few hours, it’s well worth checking out to get an idea of what we’re in for once 2077 is released. After its E3 reveal at the start of the summer, Cyberpunk 2077 was promising a lot and the hype was real. In a recent interview with Edge magazine (Nov 2018 issue), Patrick Mills – quest designer on the game – gave us an idea of just how much they want Cyberpunk 2077 to change video games, as well as giving an insight into the challenges this would incur. What we can take from this interview is that Cyberpunk 2077 isn’t going to hold back its message. The developers believe that the themes of Cyberpunk are relevant to today’s world and they’re not going to shy away from that – politics is a core tenet of the genre, after all. CD Projekt Red is not a company you could accuse of being cautious. The sheer size of the Witcher series is a testament to that, as well as their jabs at other games in the form of easter eggs (the dead assassin in the hay springs to mind). However, it’s a fine line between having a political narrative in your game and using your game to push a political agenda. Risks will have to be taken, that’s obvious, but we’re confident that CD Projekt Red will balance that line well and they’ll find the appropriate tone to tell their story. If you’ve seen the gameplay video that CD Projekt Red released a couple of weeks ago you’ll have been given an idea of what’s in store when Cyberpunk finally drops. If you haven’t, you should watch it now. The following are just a few of the things that have got us excited for the release. Go big or go home seems to be CD Projekt Red’s mantra, just look at the size of The Witcher 3, and they’ve certainly gone big while creating this. Perhaps that’s why they’ve spent over six years working on it. The plan is for Night City to be a massive open world with no loading screens. That means seamlessly moving from driving the super powered sports cars to visiting “Ripper Docs” to completing missions set inside cavernous factories. That’s not all though, the developers have also put a lot of work into creating the most vibrant game world we’ve ever seen. Unique NPCs populate Night City each living their own lives, there are groups that will respond to you in different ways depending on the outfits you choose to wear and the decisions that you make throughout. From what we’ve seen so far, Night City has a real Judge Dredd feel to it with massive superstructures housing entire communities, similar to the tower which was the setting for the excellent Dredd movie from 2012. In the gameplay demo, we see a marketplace filled with vendors and shoppers going about their daily business. There’s also a crime scene being investigated by the police and you can interact with almost all of it. The player character is going to be fully customisable, both in appearance and in play style. Player class will be entirely fluid allowing you to switch up skills as and when required throughout the game. There’s also the possibility of opening up temporary abilities via “boosters”. In the video, we see “Kereznikov” being unlocked – an ability allowing the player to use bullet time style slow-motion to assist in combat. Missions will have multiple options for completion, from violent to non-violent and something in between. In the video, we see attempts at a non-violent solution to the mission of collecting a “bot” for someone that goes awry. There’s even the option to change your tactic mid-mission but beware, regardless of which choice you make, your decisions will have lasting consequences on your future experiences within the game. Everything seems available to you at the touch of a button and the HUD shows exactly where you need to go for each mission, including giving you an idea of how far away it is, reminiscent of recent Deus Ex games. From what we’ve seen there are very few menu screens to deal with. That coupled with the lack of loading screens means there is very little that will take you out of the Cyberpunk 2077 experience allowing you to have full immersion in the story. What menu screens there are are designed in such a way that they are showing what the player character would be seeing as well, further enhancing the experience. CD Projekt Red have announced that the game will ship as a single-player game but that doesn’t mean that a future multiplayer version isn’t on the way. Patrick Mills, when asked by Eurogamer, said back in June that they have multiplayer in R&D. This refers both to Cyberpunk 2077 in particular but also CD Projekt Red as a whole. Mills did go on to say that while it is a possibility, their priority is releasing and maintaining a strong single-player RPG and that this might preclude multiplayer in the future. It would be great if it were to happen, imagine GTA Online style servers where your mercenary character can run around Night City performing missions, teaming up with other players. Ok, this technically isn’t a fact about Cyberpunk 2077 per se but it is something interesting. Mike Pondsmith, creator of Cyberpunk 2020, is working as an advisor on CD Projekt Red’s adaptation of his work and CD Projekt Red have been keen on releasing a pen and paper Witcher game for a few years now: so they invited Pondsmith to assist. Unfortunately, Mike Pondsmith doesn’t have the time, and he doesn’t do fantasy games either, but he does know someone who does. Cody Pondsmith (Mike’s son) has helped to develop a tabletop game based in the Witcher world which is available to buy now. Clearly the apple didn’t fall far from the tree in the Pondsmith family. Maybe we'll actually get a smegging release date. Surprise: Cyberpunk 2077 is winning awards again.